What to watch on TV during October? 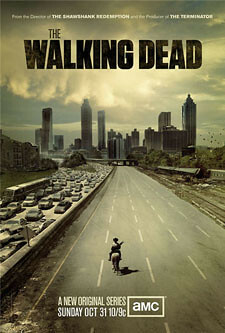 Tonight premieres the second episode of The Walking Dead. This AMC series is on its second season of surviving the dead. The first season was great, it completely keeps you on edge. Every episode offered something new to the story line and kept a great pacing since the powerful first episode. On the other hand, this second season began with a weak episode, but I hope this second episodes delivers. Don't loose your motivation, I highly recommend the show. Also, If you are looking for some tips for your scary Halloween costume drop by The Walking Dead page where their FX Make-up artists can show you how to look horrendously fantastic. This show airs every wednesday at FX and it is about a family trying to restore their broken relationship while starting a new life at a new house. As the time goes by, every episodes shows a new secret, secrets from the house, dark secrets from people who use to inhabit the place, and from the family currently trying to make a home from it. The show grows darker every episode, so don't miss it this Wednesday. 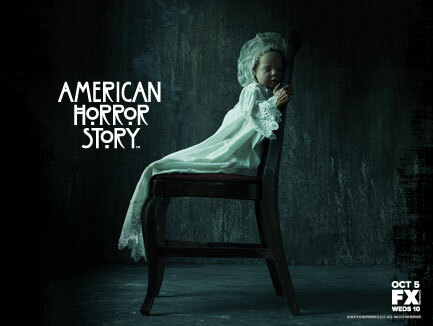 *The image above is actually a wallpaper and it is available at American Horror Story page at FX. Thanks :) for this cool creepy image! It's time to think about my suggestions. From now on, I will make a post for my What to watch section and here you will find the links to read about my new tv obsessions. What tv shows and movies have you watch recently? Finally Eli, I'm planning on keeping this updated! We're about 8 episodes into season 2 in Australia now. My husband and I are hooked. Season 2 hasn't been as non-stop edgy and shocking as the first, but it has certainly had some stand-out moments of OMG I didn't see that coming, hide behind the pillow gore and drama. Thanks for visiting! I appreciate your comments. Today's characteristic is Backs. Here are my selections! Leave me a comment so I can stop by and see what covers you chose for the meme. First, I want to write a little about me, so you can know me better. My name is Jess and I've been an avid reader since I was kid. I use to read everything. My mom had tones of books that I read again and again, but short stories was what I enjoyed the most. I kept reading during the years and from sometime I have been blogging. I've been dedicating all my efforts to improve my blog, so I can give my readers great suggestions and reviews in a nice space. Thanks for stopping by, I'll appreciated if you leave some love by following. Leave a message so I can know about you and were I can stop by to know some awesome bloggers, just like you.